Ramskram kynnir með stolti sýninguna Sparks. Þar fjallar ljósmyndarinn Wiktoria Wojciechowska um átökin í Úkraínu á sinn mjög svo sérstaka hátt. Þrátt fyrir ungan aldur hefur þessi pólska listakona unnið til virtra verðlauna fyrir ljósmyndaverk sín og þau verið birt í þekktum tímaritum. 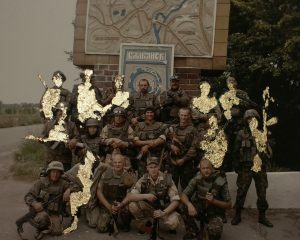 Sparks is a multi-dimensional portrait of a contemporary war in Europe, forgotten but still actual, the war in Ukraine. Ukrainians are fighting against the separatists, who are Ukrainians as well, driven by Russia’s influence and support. The core of the project is meeting victims of the war and dealing with aspects of the conflict like its influence, the impact on the environment and the lives of ordinary people, the way in which it appears in media. The title Sparks refers to the burning pieces of missiles that mercilessly pierce the walls of people’s homes. The light of explosions reflects in faces and memories of the victims. History is told through collected materials: pictures, films and words, just like pieces of bombs. 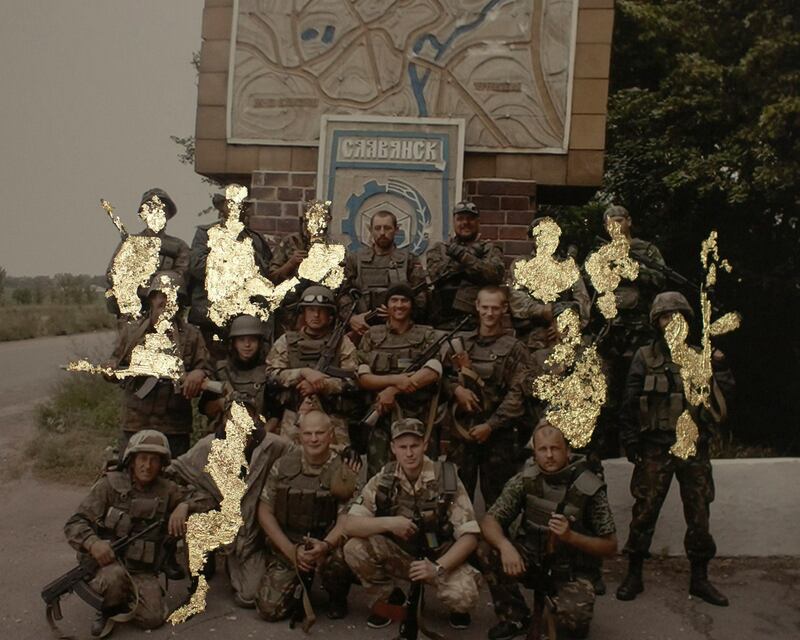 Portraits of young, nonprofessional soldiers form the backbone of the project. They went to fight in their sneakers, with weapons stolen from a museum, with all the fears and problems that any of us may encounter. They left their previous identities and occupations: philosopher, mechanic, astronomer, music DJ, bank assistant or high school students – none of them were prepared for what they were to experience. Whoever survives, is no longer the same person. Artist talk on the 28th of June at 18.00.